One of the early heritage easements in Ontario protects Victoria Hall in Cobourg. 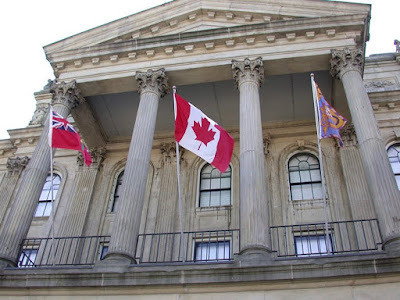 The parties to this agreement, which runs in perpetuity (forever or, less dramatically, indefinitely), are the Ontario Heritage Foundation, now the Ontario Heritage Trust, and the Town of Cobourg, the owner of Victoria Hall. The OHF’s statutory easements were not, interestingly, the first effort in the province to protect heritage property through private, contractual means. That honour goes, I believe, to the Architectural Conservancy of Ontario — and the property in question was none other than the Barnum House. 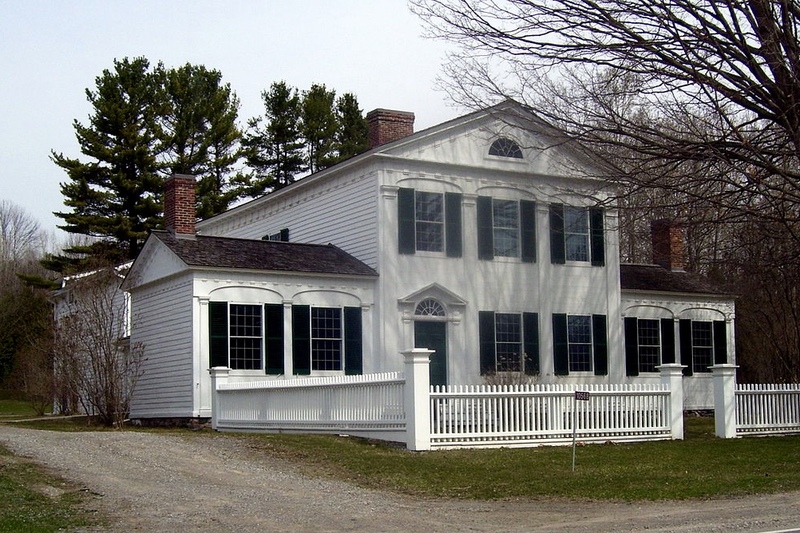 As many will know, preservation of the 1819 Barnum House, outside Grafton, and just 10 or so kilometres east of Victoria Hall, was the driving force behind the creation of the Conservancy in 1933. The ACO acquired and restored the house but by 1958 its ownership and operation proved too much for the struggling little group (I’m speculating here) and the Conservancy transferred the property to the local Township of Haldimand. The township managed to continue to run Barnum House as a museum, but again the needs of one of Ontario’s most iconic early buildings far exceeded local means. 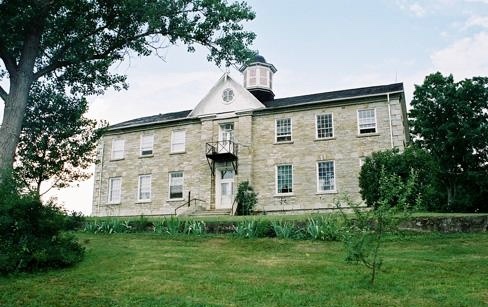 The future of the property was finally secured by transfer of ownership to the Ontario Heritage Foundation in 1982. But while willing to give up the house the ACO was not anxious to relinquish all control. And so (at Eric Arthur’s instigation?) a restrictive covenant was attached to the 1958 deed. The covenant stipulated that changes to the house could not be made without the Conservancy’s permission. This covenant was still there when the OHF came along in the early 1980s. Now, if you read “Heritage Easements 101” from last time, you’ll know that a covenant like this was not valid and could not be enforced against a future owner. For one thing the ACO did not own any adjoining lands that could benefit from the covenant. 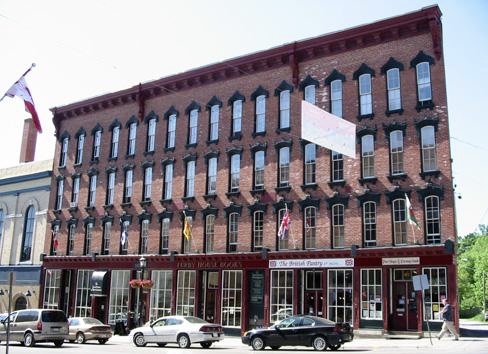 But the OHF did not want any loose ends, including any appearance that the ACO might be in a position to constrain what the Foundation could do to the Barnum House. And so it happened that I as a new staff member was dispatched to talk to the ACO board… and to talk them into “lifting” their restrictive covenant on the property. When looking back on this, I cringe a little at my “I’m from the government and I’m here to help you” attitude. They didn’t exactly welcome the idea with open arms; but after some hesitation the ACO did agree to release any legal interest they may have had in the property. The transfer was concluded soon after. right of entry to the property to rebuild, or to remedy a breach of the agreement, where the owner fails to do do. As we learned last time, some of these (the first two) would be considered “negative” provisions — requiring the owner not to do something — and some “positive” — requiring the owner to do things and incur the resulting expense. Most could be considered to be “covenants” — in the sense of promises to do/not so something — and a few (the last two) “easements” — in the original sense of permitting access to and activity on the owner’s property for limited purposes. Note 1: Until the 2005 overhaul of the Ontario Heritage Act, the Foundation/Trust needed the Minister’s approval for its restoration grants. I have it on good authority that in the case of the early and enormous Victoria Hall grant, and presumably at the Minister’s behest, the provincial contribution was actually approved in Cabinet. To this day the Trust requires Minister’s approval for property acquisition and disposition, including easement interests, but this is a formality. Note 2: According to my source, the architects of both the heritage easement provisions in the OHA and the template easement agreement were Bert Lawrence and Brock Grant. Bert Lawrence, a former provincial cabinet minister under Premier William Davis, became the first chair of the beefed-up Ontario Heritage Foundation in 1975. Brock Grant was the esteemed ministry lawyer who advised the Foundation’s board and staff for many years. Note 3: The OHT currently holds 186 built heritage easements. Note 4: The statutory protective agreement, referred to as simply an “easement or covenant” in the OHA, came to be called a heritage easement or conservation easement probably because of the traditional easement-like provisions they included (even if these were more minor in nature) and because covenants typically were part of another agreement (a deed) rather than stand-alone. Also because that’s what the American precedents were called.